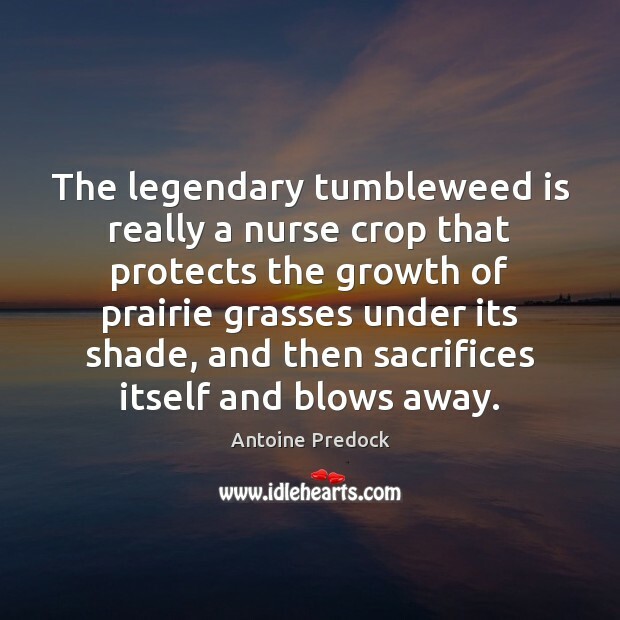 Enjoy the best inspirational, motivational, positive, funny and famous quotes by Antoine Predock. Use words and picture quotations to push forward and inspire you keep going in life! 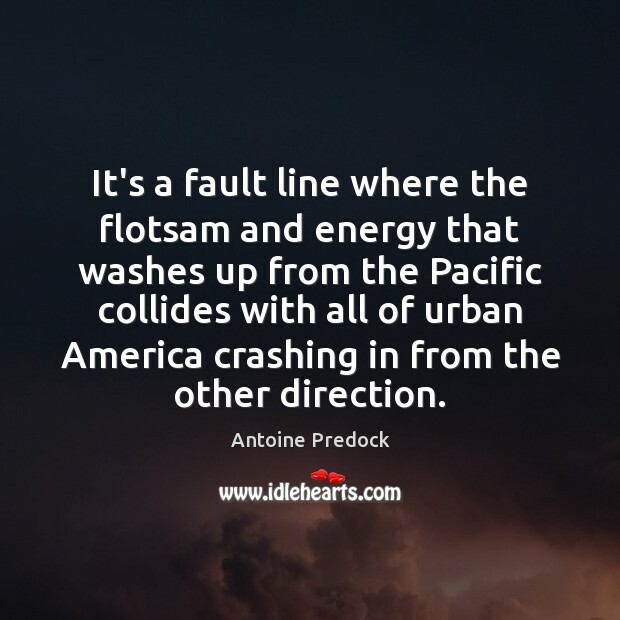 It's a fault line where the flotsam and energy that washes up from the Pacific collides with all of urban America crashing in from the other direction. 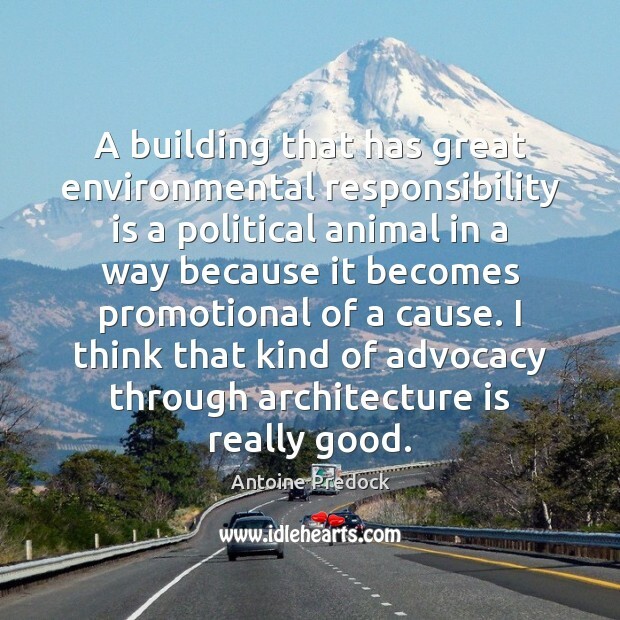 The concept of architecture as analogous to landscape is something that has interested me for a long time. 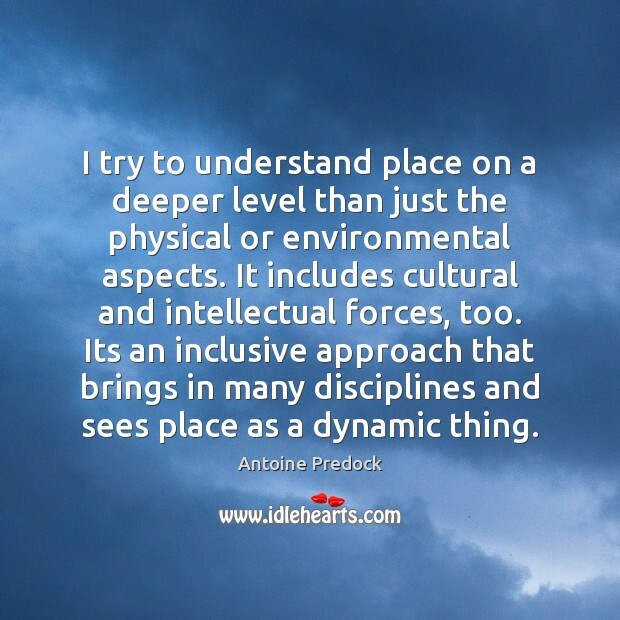 I try to understand place on a deeper level than just the physical or environmental aspects. It includes cultural and intellectual forces, too. 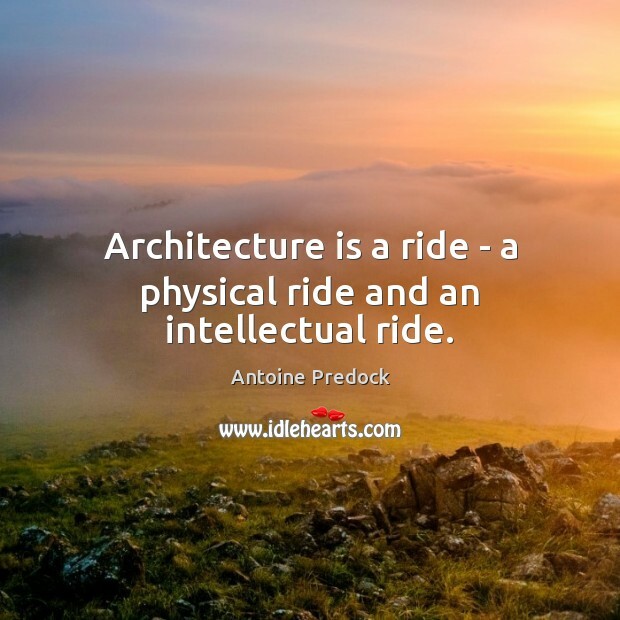 Its an inclusive approach that brings in many disciplines and sees place as a dynamic thing. 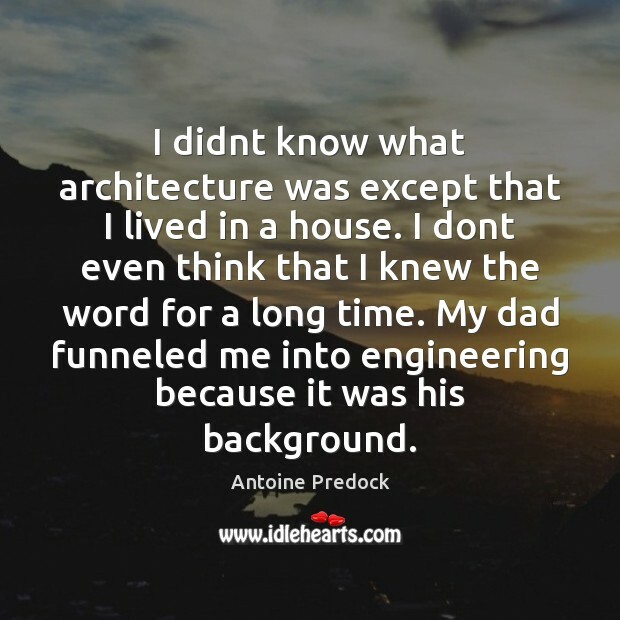 I didnt know what architecture was except that I lived in a house. I dont even think that I knew the word for a long time. My dad funneled me into engineering because it was his background. 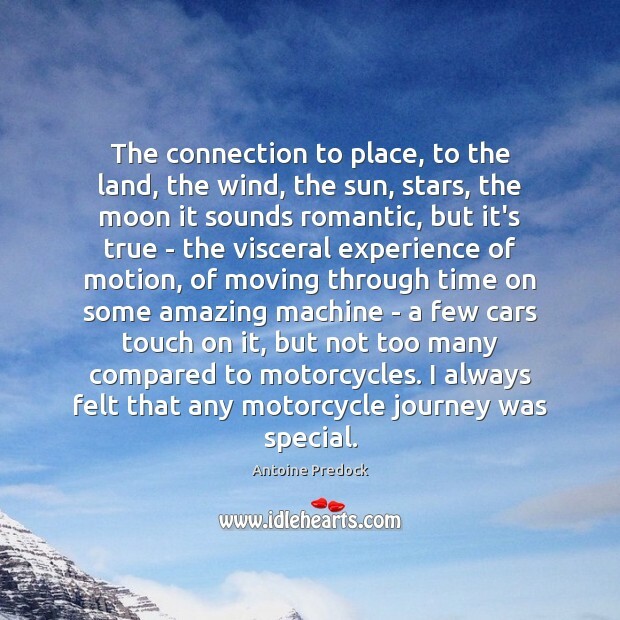 The connection to place, to the land, the wind, the sun, stars, the moon it sounds romantic, but it's true - the visceral experience of motion, of moving through time on some amazing machine - a few cars touch on it, but not too many compared to motorcycles. I always felt that any motorcycle journey was special.